Congrats to Athletics Director Sue Sinclair on Win #900! Congratulations to Athletics Director Sue Sinclair on her milestone win #900! This is Sue’s 27th season coaching the ICC Cougars. Her teams have qualified for the NJCAA National Tournament 18 times with a successful National Championship in 2009. 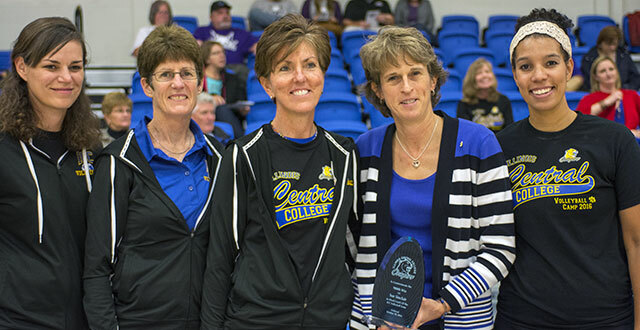 She was inducted into the NJCAA Volleyball Coaches Association Hall of Fame in 2004, and reaching the 900-win level places her among the top 5 winningest Division 2 NJCAA volleyball coaches of all time!